Share a unique 4 level home centrally located to all the activities of Scottsdale and greater Phoenix. 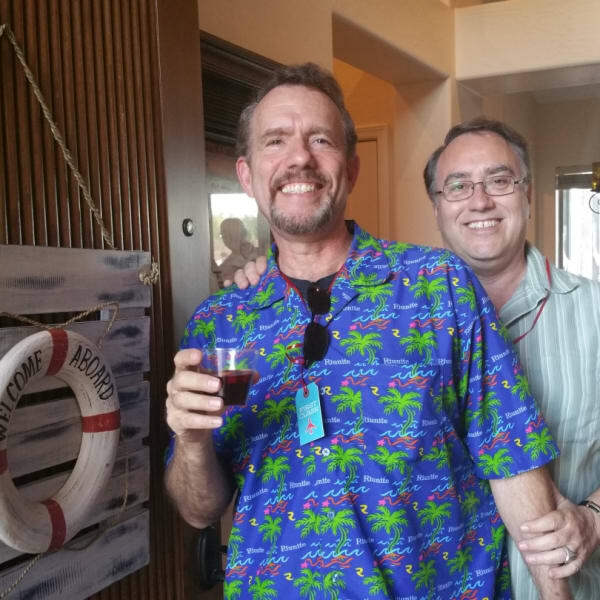 Gay couple (34 yrs together) welcome travelers on vacation, business or family. We have a great guest room, nicely appointed and super comfortable. Shared bathroom with another gay roommate. During the summer you can take advantage of the cool water in our pool (private and clothing optional) and dine al-fresco year round or in our remodeled kitchen. If you would like to host a party for your local family or friends we can accommodate that as well with notice. If you are new to town we can point out some fun gay areas in the area or other local tourist options. We are easy going and love to meet new people! You can't beat this location!! Less than 15 min from Sky Harbor Airport or Scottsdale Airport. Just a quick Uber link to downtown Scottsdale (less than three miles) and it's world famous shopping and night life! And we are less than three miles from two Cactus league stadiums if you are a baseball fan. If you are into Casino, two of the premier casinos in AZ are less than 10 min from home. Whatever it is that you enjoy while traveling, chances are we can help you find it!